The LARRY USB series is a family of linear CCD array detectors that offers cost-effective, scientific-grade performance for a wide range of spectroscopic applications. They can be mounted to most spectrographs that have the output plane ≥10 mm outside of the spectrograph. 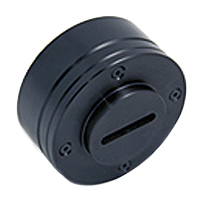 Both standard and custom mounts are available, making them ideal for upgrading existing systems or incorporation into flexible new spectroscopic instruments. 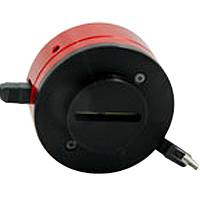 The LARRY USB series is a custom build based on proven Ocean Optics electronics and is compatible with Ocean Optics software, enabling a broad scope of features. The detectors connect to and are controlled by a PC via USB 2.0, allowing for easy-to-use, plug-and-play operation. Multiple detectors can be controlled in the same software, enabling simultaneous acquisition. GPIO communication can also be used to integrate with other instruments and devices. The linear CCDs used in the LARRY USB series contain on-chip electronic gating, which allow for integration times down to 1 ms without the need for external shutters. Since 1996 Ames Photonics has been producing high quality low cost modular linear detector arrays and accessories for spectroscopic research including CCD, CMOS, InGaAs detectors, and accessories. The modular approach to our products allows the researcher to purchase a solution for today's application while maintaining the flexibility to adapt and update our products in the future at a reasonable cost. Customers utilizing our modular approach can easily and quickly interchange components including detectors as new applications or research needs change.